Whitbread has announced that Costa Coffee will be spun off as a separate company, according to Reuters. The move comes after pressure from investor activists pushed for the coffee chain to be listed as a separate company from the parent group. 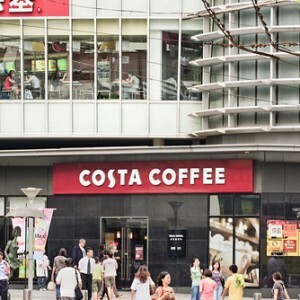 Costa, which is the world’s second-largest coffee chain, is expected to leave the Whitbread brand within the next two years. Investor activists including Elliott Advisors, run by Paul Singer, and US-based Sachem Head have been calling for the split in order to capitalize on long-term opportunities and unlock value. Whitbread said the split would take place as soon as possible in order to maximize value for shareholders. Brittain said the decision to make the split was not due to shareholder pressure. Elliott Advisors, a part of Paul Singer’s hedge fund firm, had a disclosed 6% stake in Whitbread and estimated the total market capitalization of the separate companies to be £10bn, up from a current value of £7.7bn. Whitbread recently announced growth in full-year revenue of 6.1% to £3.3m and a 4.5% rise in underlying profit before tax to £591m, above the forecast figure of £585m.